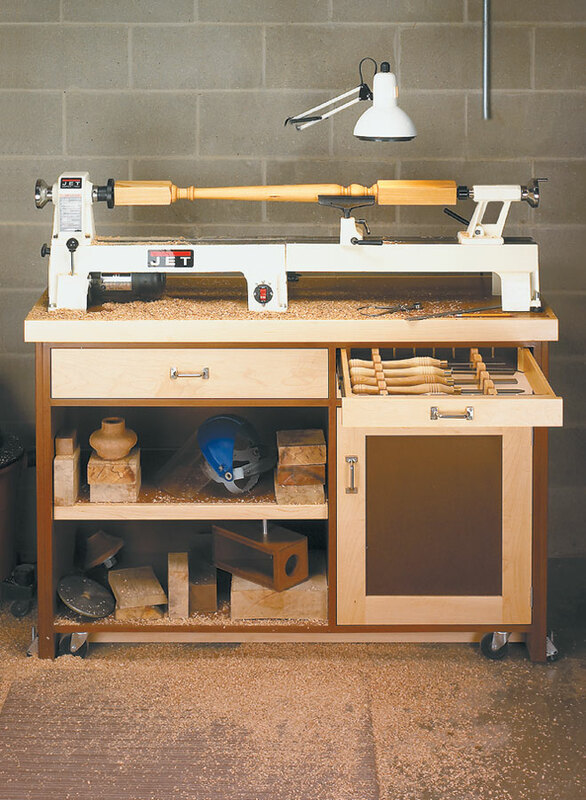 Supersize your mini-lathe with this all-in-one lathe stand and workcenter. 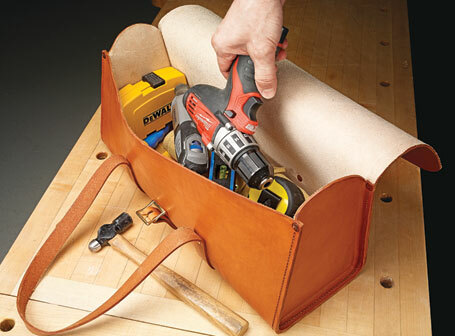 A mini-lathe packs some pretty serious turning capability into a tiny package. But just because they are small doesn’t mean that you can set your mini-lathe up on a wimpy, lightweight stand. 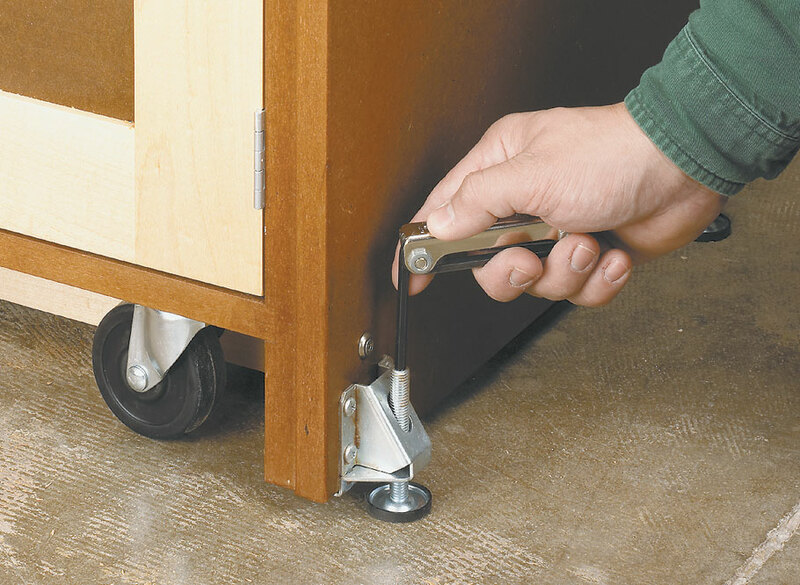 Just like a full-size lathe, a mini-lathe needs a stand that is heavy and rigid enough to absorb vibrations. 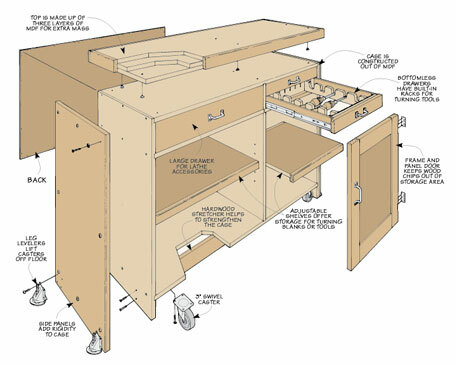 The lathe stand shown here certainly meets those criteria, but it also offers a lot more. The top is extra large to give you room for a grinder or a bed extension. 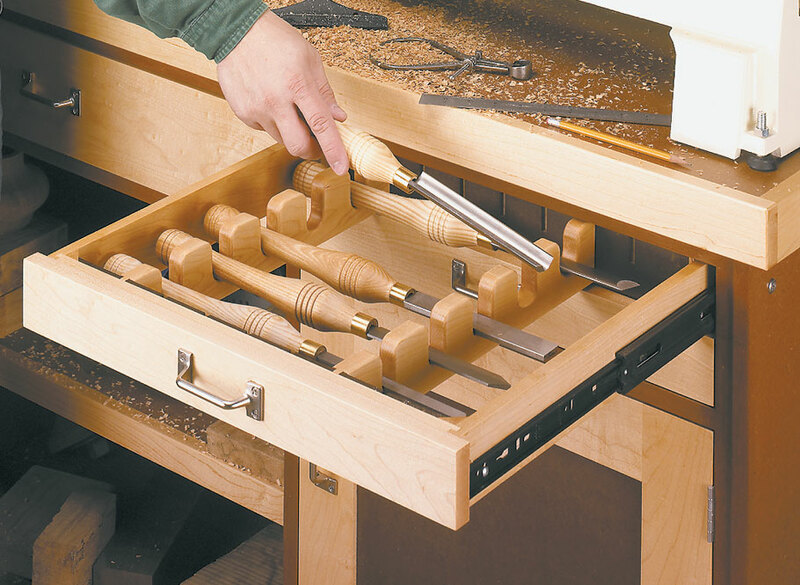 A large drawer provides plenty of space for lathe accessories. 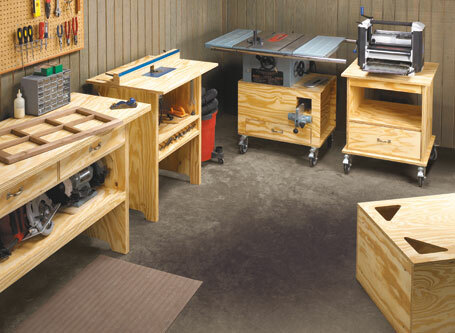 And a pair of specialized tool drawers keep all your turning tools ready to go at a moment’s notice. 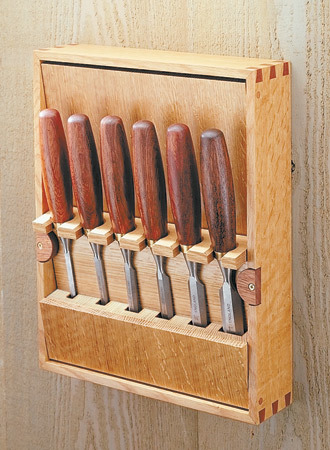 A couple of shelves offer a place to keep turning blanks and other supplies. And to top it all off, this stand is mobile — which is especially convenient if you have a “mini”-shop to match your lathe.